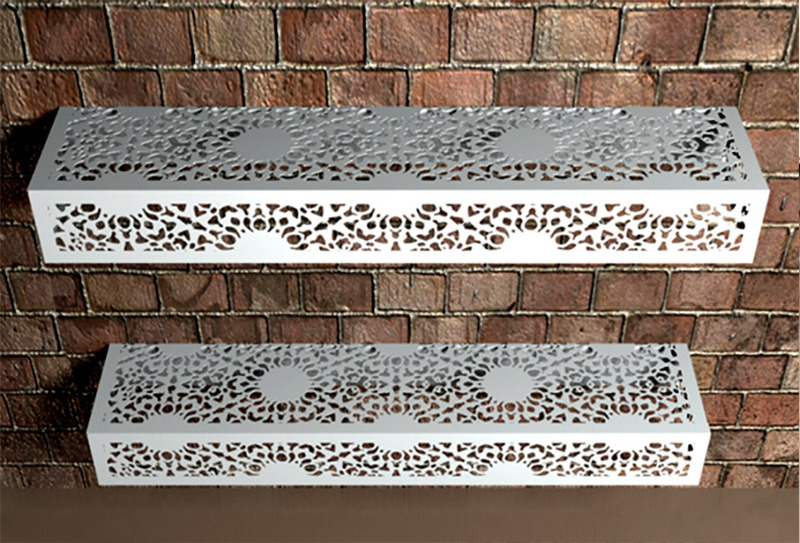 Choose a laser cut metal design style for our exclusive ranges to suit your interior style and decor. 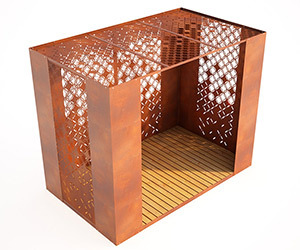 With art deco, moroccan, islamic, arabic, modern, traditional and classic designs to choose, you can also select a colour to compliment your surroundings. Mirror shelves with crystal curtains are our most popular shelves. 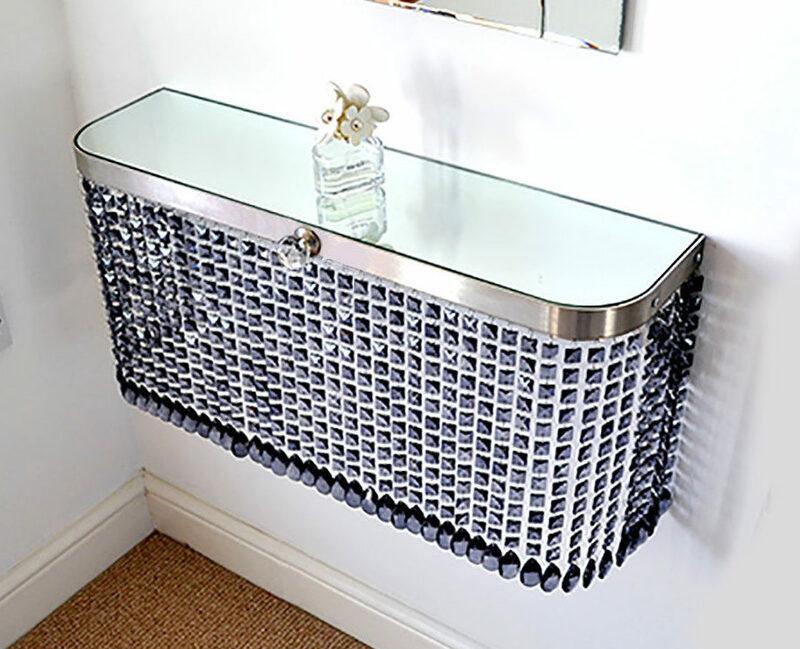 Available in several crystal colours, with bead styles to match, these mirror shelves are perfect for any hallway, bedroom, dressing room, reception area or living room. 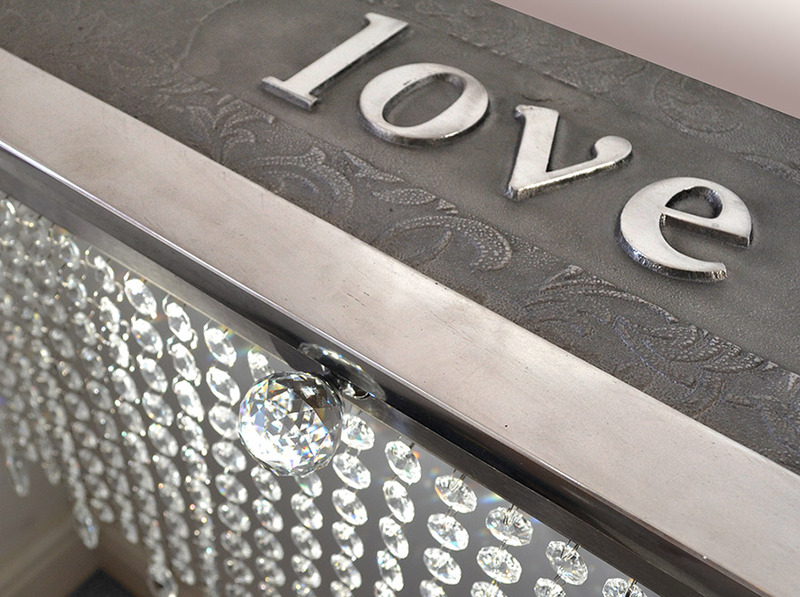 Wall mounted decorative crystal laser cut shelving with mirror for makeup and perfumes. Get dressed and ready to go out with our beautiful range of make up display shelves.